Since the very first mention of Jesus being the hope for us all, His good news has been contextualized into the culture it was taught in. The Student Ministry of Carpenter’s Way is designed to reach the emerging culture of students in our community with the timeless Gospel of hope and reconciliation. We believe a thriving student ministry will spur hope in the lives of students that are learning to trust in the God they CRAVE. 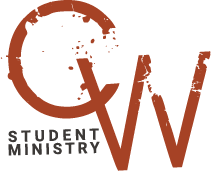 We can assume you landed on this page because you're interested in the Student Ministry of Carpenter's Way. Most likely you're a parent with some questions or you're a student checking to see how we do ministry. Below are some questions we hope will be helpful to you if we answered. How do you reach students? During the school year, we meet every wednesday night from 6pm to 7:30pm for CRAVE in the worship center. During the summer months, we have fun, gather for worship, plan amazing events, and go on mission trips. Be sure to grab a summer calendar to stay in the know during the irregular summer months. Check out the "I'm a parent..." section for more ways to stay in the know. We believe that you, the guy down the street with the funny smelling car, the cat lady in your PTA group, your baby brother, your favorite musician, and every student in Mid-county has a deep craving to belong, to have hopes fulfilled, and to be satisfied. This seems to be the singular trait all of mankind shares. Our midweek programs are called CRAVE because they are each designed to point students to the God they crave - the ultimate fulfillment of this basic and universal need. Each CRAVE night is different but the ingredients that make a great one are always present. Students can grab a snack at Tabersnackle, hang out with friends to play games or catch up after a busy week, play a ridiculously fun large group game, join with other students to sing in worship, hear a message crafted for the emerging student culture based squarely on scripture, and break into small groups where discussion and application occur. Tabersnackle is how we get delicious nums nums into your student's belly. Students like to eat...a lot. Also, they tend to be pretty hungry after a long day of growing their brains. We developed the Tabersnackle as a solution to the growling stomaches caused by a full day of learning. Tabersnackle is a snack shop with a finely cultivated menu developed with your student's delicate palette in mind. We sell all items 'at cost' so your student should be able to have a delicious meal for around $2-$3. How do We Reach Students? We believe the Gospel is timeless, and the avenue in which we present it is limitless with creative opportunity. We will engage students through powerful music, captivating lessons, beautiful art, hilarious games, adventurous events, and delicious food. The hope of Jesus is worthy of our best creative juices and we will flex the right-side of our brains to win the hearts of your students. The Student Ministry sifts the entirety of its programing through a very simple, but effective filter: Win. Build. Send. WIN. A 'win' is an event or lesson designed to engage first-time guests and new believers. Our hope is to win the right to be heard and to present the truth of Jesus to those that are listening. BUILD. A 'build' is an event or lesson designed to promote the group towards growth. This could be personal growth, such as leading a student to take a simple step of obedience towards a calling God has placed on her heart, or this could be community growth, such as an activity designed to build stronger relationships within the Student Ministry. Our hope is to help students build a history with God where they will begin to make daily decisions towards a growing relationship with Him. SEND. A 'send' is an event or lesson designed to encourage each student to participate in a personal ministry. This could be a mission trip, a Crossover event, or a reoccurring ministry opportunity, such as serving a role within the church. A thriving Student Ministry will be well balanced with a WIN, BUILD, SEND philosophy. I'm a parent... What about me? First, thank you for having children. Our ministry is your family. We take that seriously. We hired our top mathematicians to measure the impact potential available with each student. The results were shocking. Of the 730 hours available each month, we will only impact about 6 of them. That means if we are going to impact the whole life of each student, we must support you for the other 99.8% of the time. We will do this, first, through communication. By mail, text, and announcements, we want to ensure each parent is up to date on the events coming up in the Student Ministry. We will also host periodic Parent Summits designed to have an open discussion with parents about the issues that matter to your family. Lastly, part of our overall formula for discipling your student is to equip the parents for the role of discipleship. This will be done primarily through Community Groups, but we are open to a conversation as to how best to help with the discipleship of your specific student. To get parent mail, please be sure CW has your correct mailing address. Jesse can check that for you.